Catholicism, Godbeat, Journalism, People, Bobby Ross Jr. The best journalists report what they know — and what they don't. Given the flurry of positive press for Pope Francis in 2013, a journalist easily could produce a three-anecdotes-make-a-trend story on how the new pope with a sky-high approval rating has brought a numerical resurgence to the Roman Catholic Church. 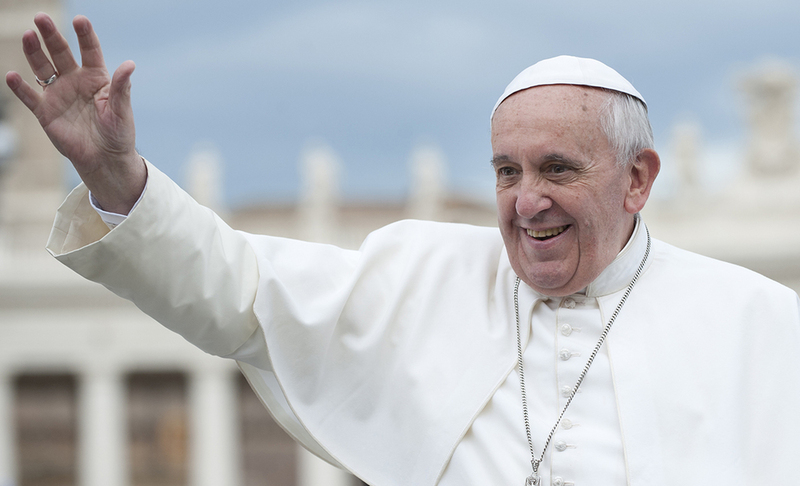 It's been called the "Pope Francis effect." Priests locally and internationally say they're seeing a bump in interest in the church through the pope. But while there are anecdotes of people joining or returning to the church under the influence of Francis, there's no proof yet that such anecdotes add up to a broad trend. Pope Francis' name and @pontifex Twitter handle have become some of the most searched terms on the Internet. The pontiff has been named Time magazine's Person of the Year and he enjoys high popularity in polls -- rated favorably by four in five U.S. Catholics and more than half the American general public, according to the Pew Research Center. Italian priests tell researchers they see a rise in Mass attendance. But since Francis became pope, there is no measurable increase in Americans either identifying themselves as Catholic (around 22 percent) or in reporting they're attending Mass more frequently (with about 40 percent continuing to say they attend weekly), according to Pew. But isn't it a little early to see fluctuations in such statistics, you ask? Exactly. Georgetown University-based researchers into Catholic trends have come up with similarly stable numbers. But there's a big caveat, said Mark Gray, a research associate and director of Catholic polling at Georgetown's Center for Applied Research in the Apostolate. Typically, he said, a survey would have a margin of error of plus or minus 3 percentage points, meaning that any changes that are less than that cannot be considered significant. Given the large America Catholic population -- the nation's largest denomination -- "you'd need to see a shift of more than 1.7 million adults either way to discern any minor change," he said. In other words, the Francis effect would have to be massive even to move the needle a little bit. But by 2014, when Catholic dioceses start reporting data on their sacraments, they'll know more precisely what's been happening in 2013, Mr. Gray said. For sure, Smith shares some interesting ones. But it's the precise way he and the Post-Gazette present the imprecise data that makes this story an excellent read. The best journalists report what they know — and what they don't.